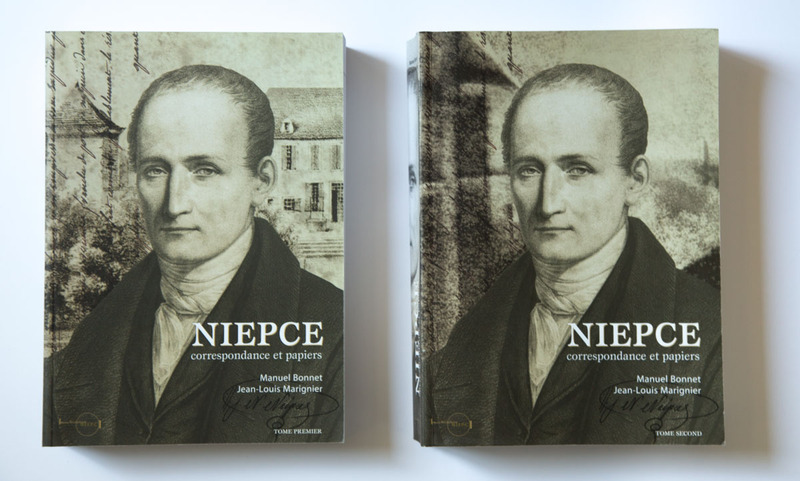 The Niépce’s House proudly presents the book Niépce, Correspondance et papiers, by Manuel Bonnet and Jean-Louis Marignier, a set of the most important documents ever collected on Niépce. Mainly written to relatives and close friends, these letters are better than a lab notebook, as they reveal the inventor’s privacy — his failures, mistakes, doubts — but also his hopes and successes, reflecting his true creativity and ingenuity. These letters hide nothing, combining the qualities and weaknesses, which are usually left out from inventors’ sucess stories. For the contemporary researcher, reading the Niépce letters is unique. The book was published on 5th December 2003 by the Niépce House in collaboration with Speos Paris Photographic Institute. 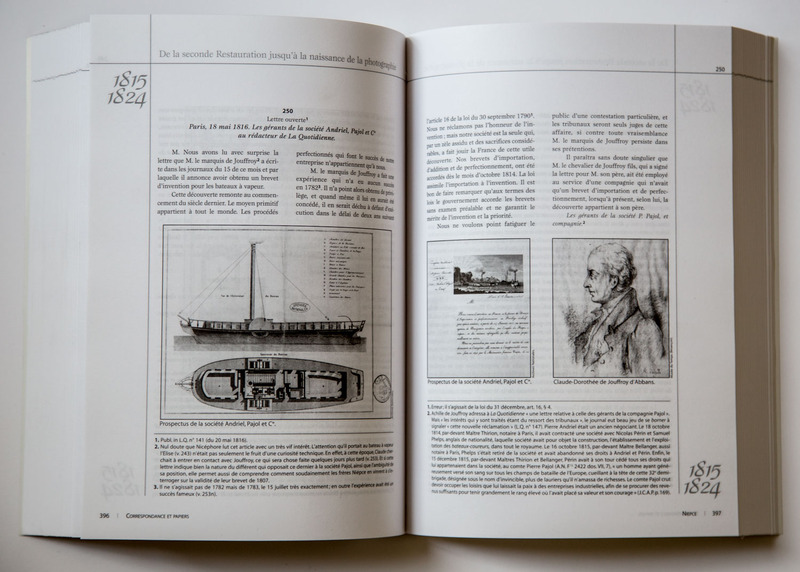 It contains 1600 A4 pages, about 700 genuine documents, out of which half has not been published before, covering the years from 1761 to 1842, and which allow us to recreate the lives of Niépce and his family. Each document is fully transcribed and supported by extensive foot-notes. During the National Heritage Days 2002 and 2003, Jean-Louis Marignier presented the computer data base he created, which holds Niépce’s correspondence, allowing a highly specialized search engine to answer all sorts of questions for which the computer selects the corresponding letters. Besides operating as a document archive, this data base allows users to do research from search criteria such as word search, dates, authors, recipients (in case of letters), key words, as well as the present owner of a given document (private collection, public archives and so on), with the possibility of using several criteria at once. This powerful tool will soon be available to researchers.